A site specific installation at an old mill with shops on the lower floor and the gallery on the upper floor. 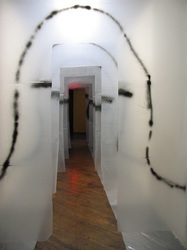 From the Mill entrance stairs rise to a corridor on the second floor. Down the corridor just before the entrance to the main area is an open coat closet on the left and to the right, a perpendicular corridor. Street clothes may be exchanged in the coat closet for a mask vestment like the ones forming the arches in the FACE ON passage. A mirror hangs in the last archway before the hall and closet. 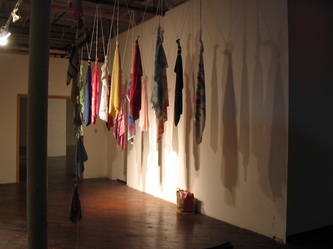 In the adjacent room, a string of washcloth hangs near a metal folding chair with a split seat and a dark column supporting the open ceiling beams. FACE OFF. Clamp lights spotlight the hung. UNBOUND Book pages hang from the ceiling with text from newspapers and fiction juxtaposing reporting of the war in Yugoslavia and truths about witnessing and borders from fiction. 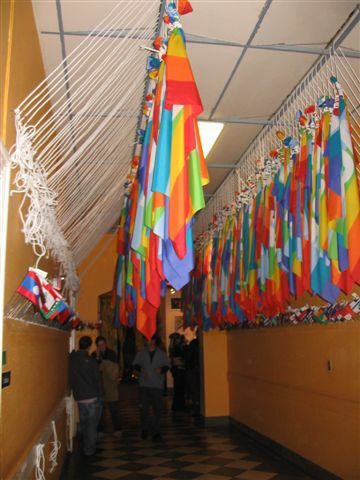 Each lynched Italian PACE flag is paired with a small flag representing every country of the world. 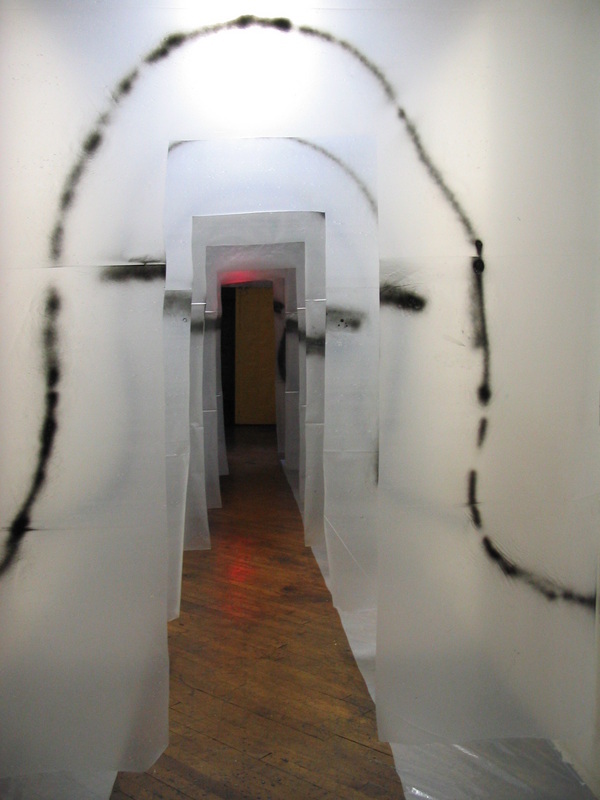 Walking into the passageway one notices a distinct muffling of sound. The silence is palpable.